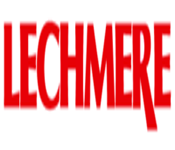 Lechmere was a retail store based out of New England. In 1994 it was purchased by Montgomery Ward. Less than five years after the acquisition of Lechmere Montgomery Ward was forced to Liquidate closing all the Lechmere stores by 1997. In 2000 Montgomery Ward itself was forced to Liquidate and were forced close all their stores after 128 years of business.